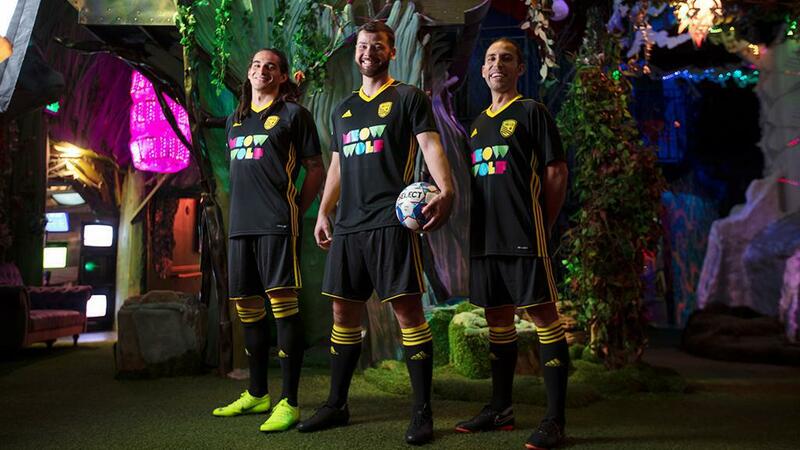 ALBUQUERQUE, N.M. – New Mexico United and Meow Wolf proudly unveiled an innovative new partnership on Thursday that included the reveal of the new USL Championship club’s home jersey for the inaugural 2019 season at Isotopes Park. The partnership between New Mexico’s professional soccer team and the Santa Fe based, world-renowned art collective is unique in the sports world, and represents the artisan culture prevalent in New Mexico. House of Eternal Return by Meow Wolf hosts half a million visitors a year in Santa Fe and was recently named the No. 4 Best Experience in The World by world-renowned culture magazine Time Out. Meow Wolf challenges a wide variety of paradigms as it invents a whole new form of storytelling, pays artists commensurate with our culture’s high-demand for art, gives generously throughout community, and always goes maximal. 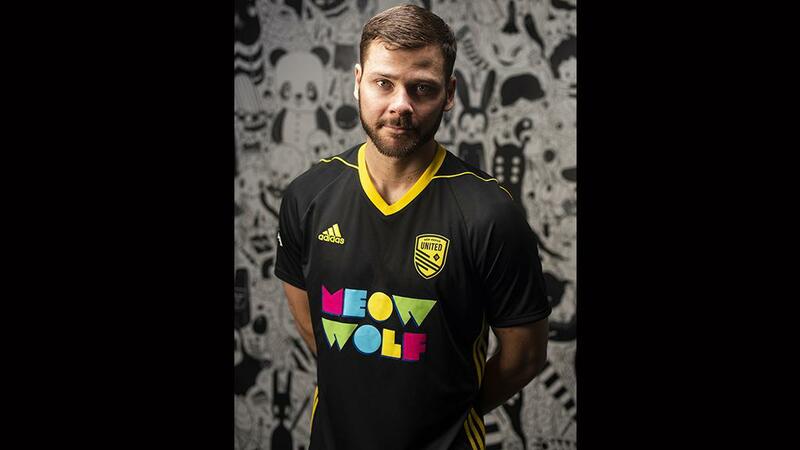 New Mexico United and Meow Wolf proudly unveiled an innovative new partnership on Thursday that included the reveal of the new USL Championship club’s home jersey for the inaugural 2019 season at Isotopes Park. 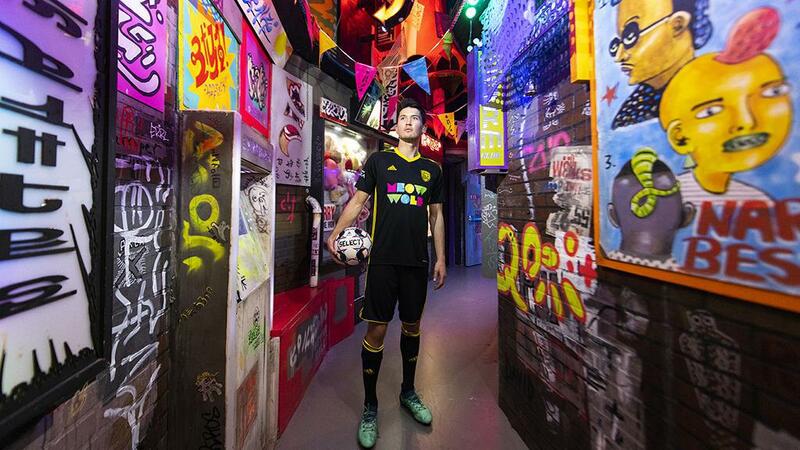 The official home kit, manufactured by long-time soccer brand, adidas, features a sleek, black jersey with the Meow Wolf logo in its full, colorful, artistic glory front and center on the chest. The signature adidas three-stripe motif runs down both shoulders of the jersey in New Mexico United yellow. 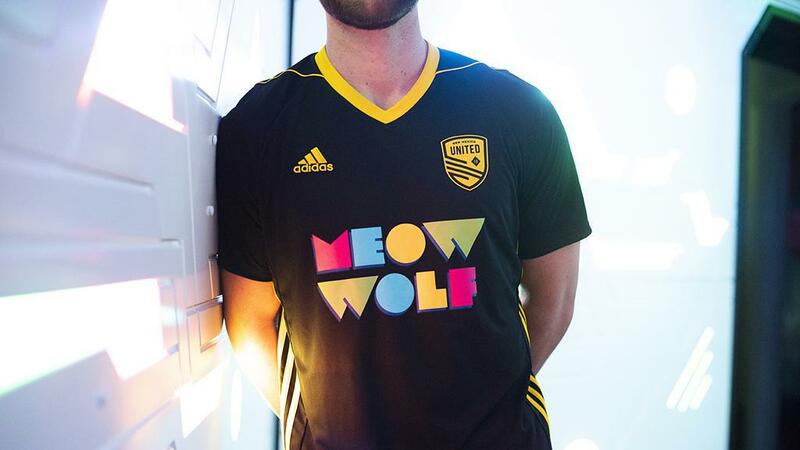 The front also showcases a yellow adidas logo and the New Mexico United shield. The full, official black kits include black shorts with matching yellow lines and black socks with yellow stripes around the knee. 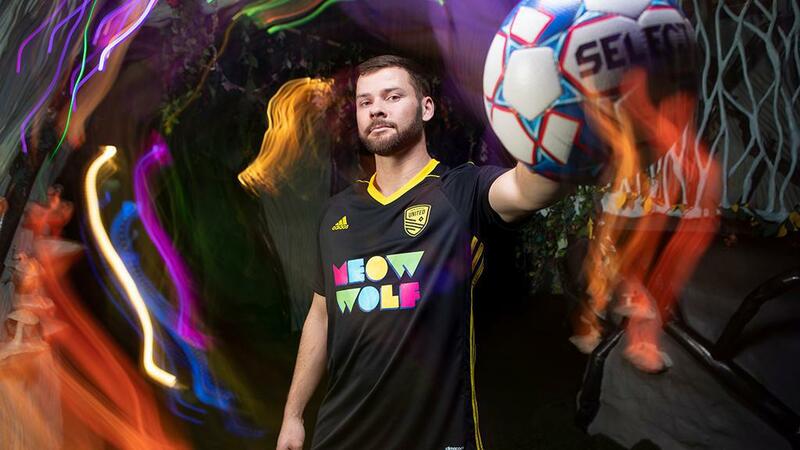 The official New Mexico United/Meow Wolf home jersey is available for preorder for $85 for both the men’s and women’s, and $75 for youth at shop.newmexicoutd.com.